What is it we want when we can't stop wanting? And how do we make that hunger productive and vital rather than corrosive and destructive? 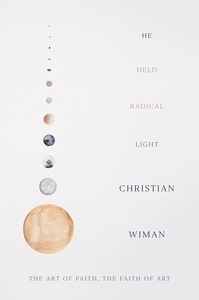 These are the questions that animate Christian Wiman as he explores the relationships between art and faith, death and fame, heaven and oblivion. Above all, He Held Radical Light is a love letter to poetry, filled with moving, surprising, and sometimes funny encounters with the poets Wiman has known. Seamus Heaney opens a suddenly intimate conversation about faith; Mary Oliver puts half of a dead pigeon in her pocket; A. R. Ammons stands up in front of an audience and refuses to read. He Held Radical Light is as urgent and intense as it is lively and entertaining--a sharp sequel to Wiman's earlier memoir, My Bright Abyss.